Or listen on a mobile device / download MP3 here. 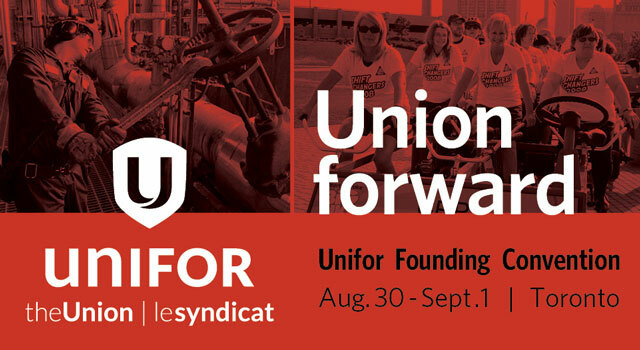 This coming weekend, is the first convention of a radical new kind of union – Unifor. We talk about Unifor with Dave Coles, one of the founders of the new union and current President of the CEP. We will also discuss his call on the Harper government to set up a Crown corporation as the country’s fourth major wireless carrier. “Canada Wireless”, as the union proposes, would potentially keep U.S. giant telecom Verizon from coming into the domestic cellphone market. This feature interview starts at app 34 min. mark. Low-income residents of the York Rooms in the Downtown Eastside are facing escalating harassment, intimidation, and evictions since new management took over the single room occupancy hotel in July. Over the last two months at least seven residents have lost their housing through eviction or by being paid to leave. We chat with the lawyer representing the residents – DJ Larkin of Pivot Legal Society. Interview starts at app. 17 minute mark. The railway company involved in the Lac-Mégantic disaster will be allowed to resume its operations in Canada until Oct. 1, according to CBC News. Thousands of people in Britain slept outside in more than 60 towns and cities over the weekend, reports the Morning Star online. This was the largest co-ordinated action yet against the Cameron government’s so-called bedroom tax.